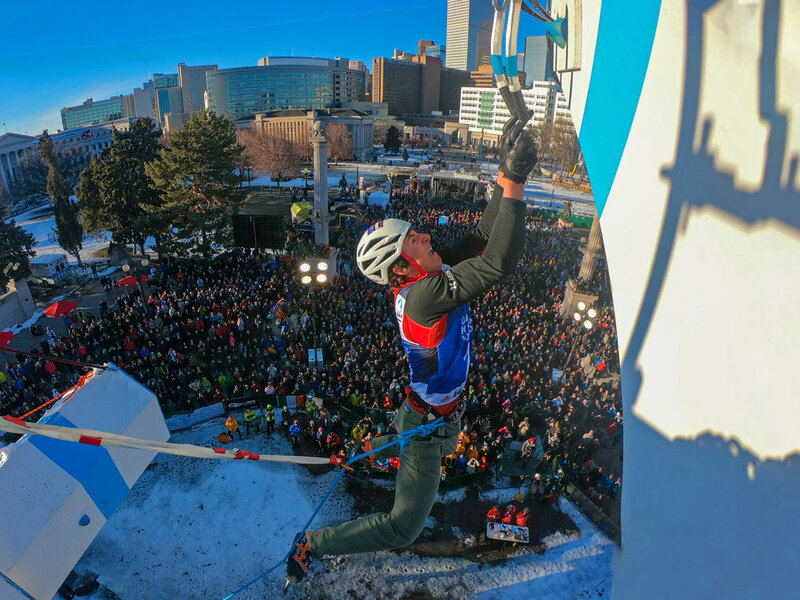 Records were set at the first-ever UIAA Ice Climbing World Cup Finals hosted, in the heart of Denver in Civic Center Park. 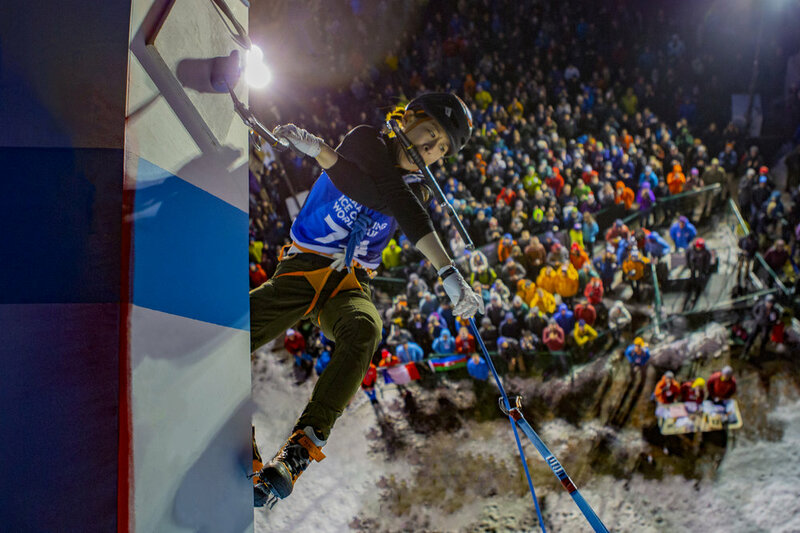 25,000 fans attended the two-day event, representing not only the largest World Tour’s audience in history, but also making it one of the most well-spectated climbing events of all time! Hundreds of thousands also followed the livestream of the competition, the sixth and final World Cup of the 2019 season. Furthermore, the UIAA website recorded record visitor figures during the weekend. In tandem with the World Cup, Visit Denver hosted a Winter Festival that had something for everybody: axe throwing, ice maze, obstacle course, fur throwing, lumberjack games, fire pits, ice bars and food trucks. We had a blast hosting the World Cup right in the middle of Denver, Colorado. Tell, us! Should we do it again next year? Tell us! Should the AAC host the World Cup in Denver again next year? Yannick Glatthard’s winning dyno during the Men’s Finals is a must watch!